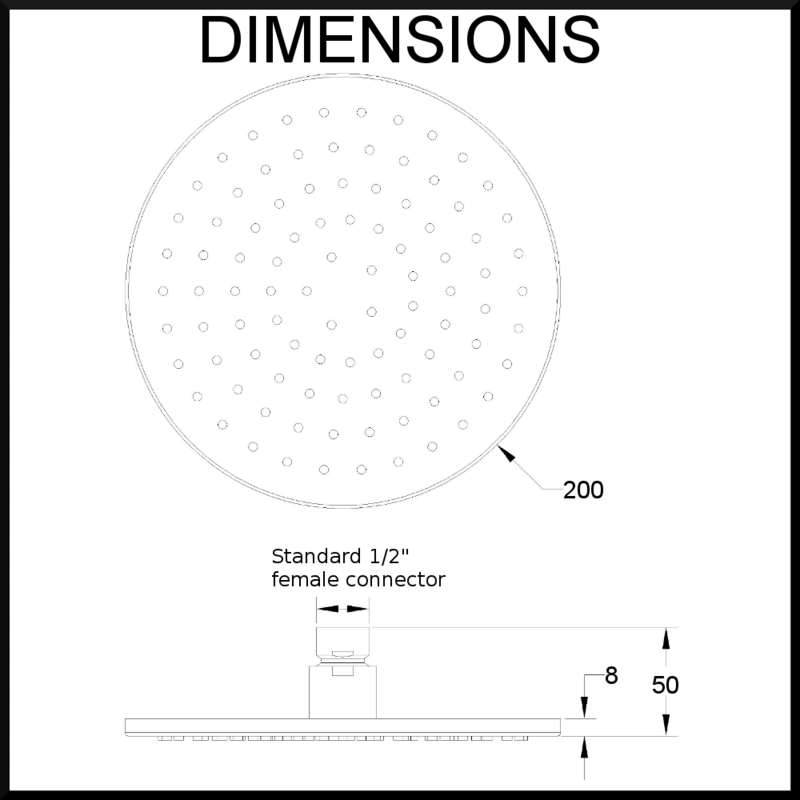 This round rain shower head is large with a 200mm diameter, providing an indulgent rainfall of warm water. Its high quality finish and construction will look great in your bathroom, and its simple to install. The Vale range of bathware is designed to suit any contemporary bathroom. Using sleek and simple designs, Vale features flawless finishes on all your bathroom fixtures, built to all Australian standards and specifications to ensure your bathroom functions for life. This VALE round rain shower head has 95 individual rain nozzles to provide pure indulgence, giving you the experience of warm rain in the comfort of your own bathroom. And its round shape will be a nice contemporary touch for your new bathroom. With its chrome finish and over-sized design, this rain shower head will be a striking feature in any bathroom. This luxury rain head will easily install into any standard Australian shower arm. We recommend mounting this rain shower head from the wall or ceiling - check out our matching shower arms to suit your situation.